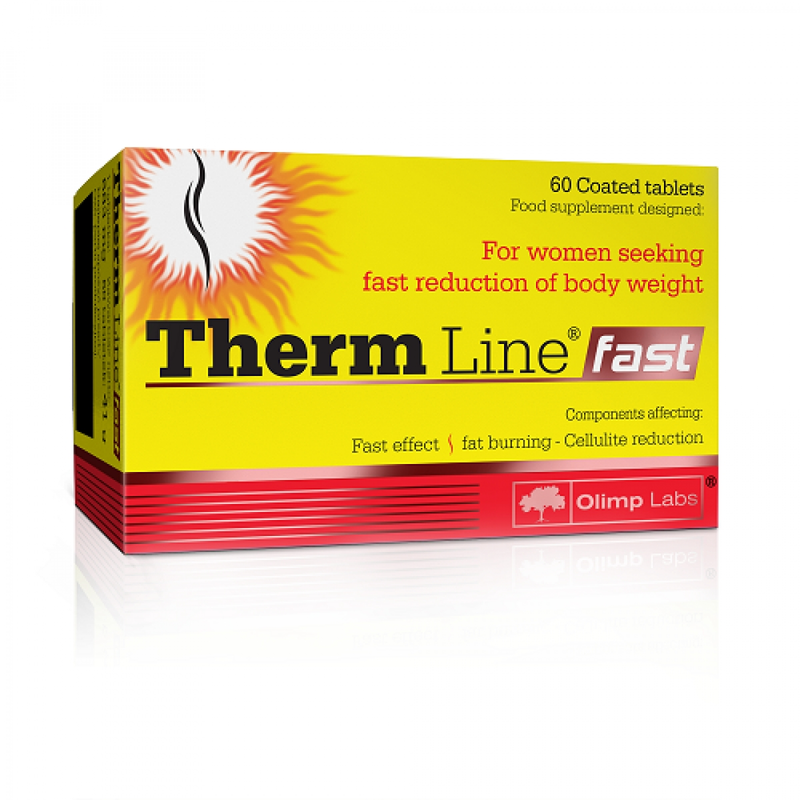 Therm Line Fast is a food supplement in a form of coated tablets, containing properly balanced composition of ingredients for women seeking fast reduction in body weight. The ingredients help to burn fat, accelerate metabolism and remove excess water from the body. Green tea and cayenne pepper containing capsaicin, enhance fat burning, while contributing to fight against cellulite. Green tea also increases metabolism, accelerating the transformation of the ingredients in the body. Nettle contributes to removal of water from the body along with the products of metabolism. The product also includes high-quality extract of green coffee - standardized for chlorogenic acid content and SINETROL® - a patented extract of citrus fruits and guarana. Olimp Therm Line for adults seeking to reduce body weight, on weight loss diet, experiencing water retention problem. Ingredients: nettle extract (Urtica dioica L.), green tea extract (Camellia sinensis L.), caffeine anhydrous, bulking agent - microcrystalline cellulose, cayenne pepper- extract (Capsicum annuum L.); SINETROL® - patented guarana and citrus extract (Citrus sinensis L. Osbeck, Citrus grandis, Citrus aurantium var. dulcis, Paullinia cupana), glazing agents - polyvinyl alcohol, polyethylene glycol, talc, potassium aluminum silicate, polyoxyethylene sorbitan monooleate; green coffee extract, bulking agent - cross-linked sodium carboxymethylcellulose, anti-caking agents - silicon dioxide, magnesium salts of fatty acids; colour - titanium dioxide. Recommended use: 1 tablet 2 times a day, with plenty of water, approximately 30 minutes before breakfast and lunch or workout.